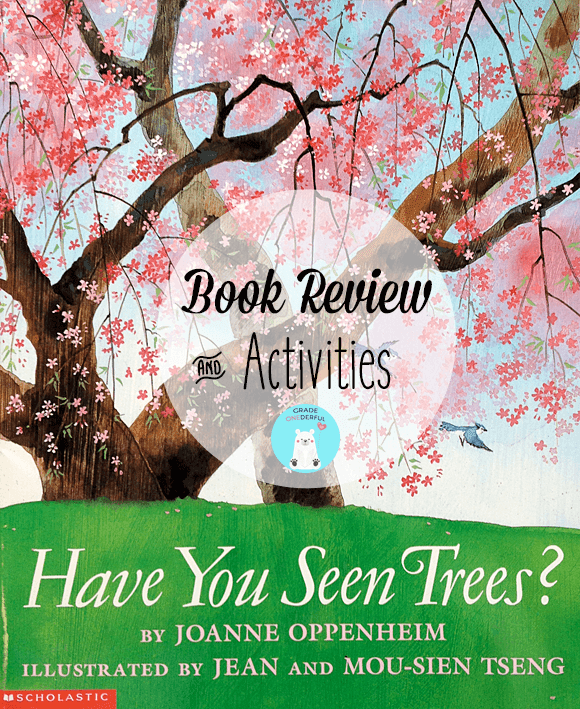 If you love trees, you'll love this book. Title: Have You Seen Trees? 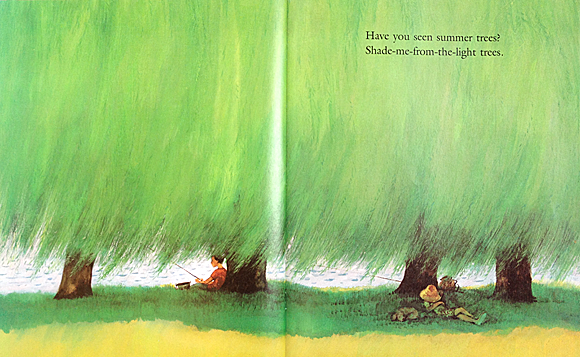 Opening Lines: "Have you seen trees? High trees, wide trees, reaching-to-the-sky trees. 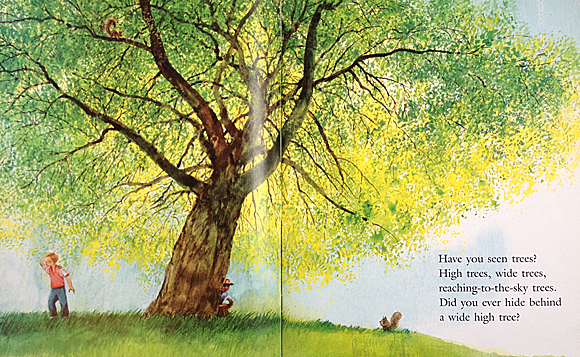 Did you ever hide behind a wide high tree?" 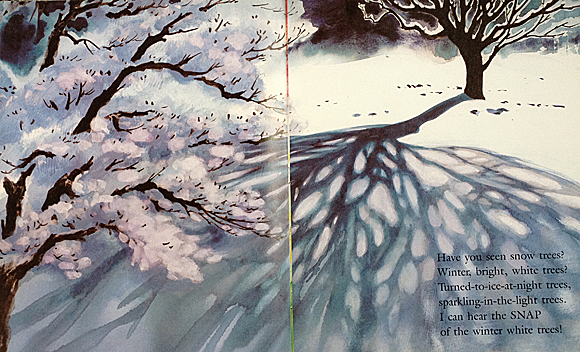 Brief Synopsis: This beautifully illustrated book is a poetic ode to trees throughout the four seasons. 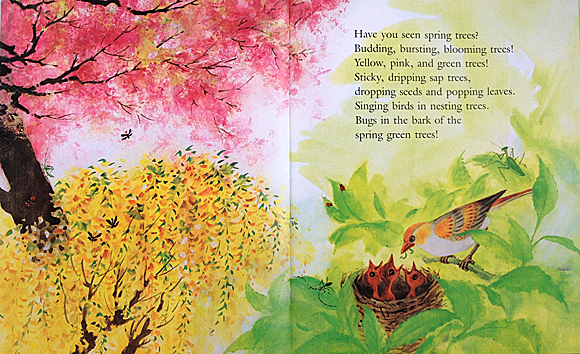 Why I LOVE This Book: Because it's perfect for all things trees, seasons and grade 1. 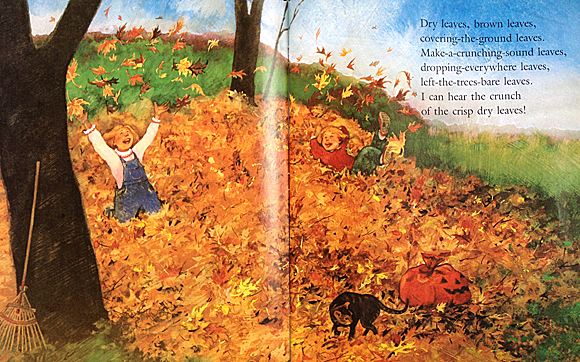 The paintings are absolutely gorgeous and the writing is full of alliteration, rhymes, rhythm, and onomatopoeia. Spring Tree Art ~ Today my class made these beautiful cherry blossom trees with my awesome TOC and great friend, Bev! The kids used a straw to blow brown paint across a piece of white paper. Then they glued crunched up bits of precut tissue paper. 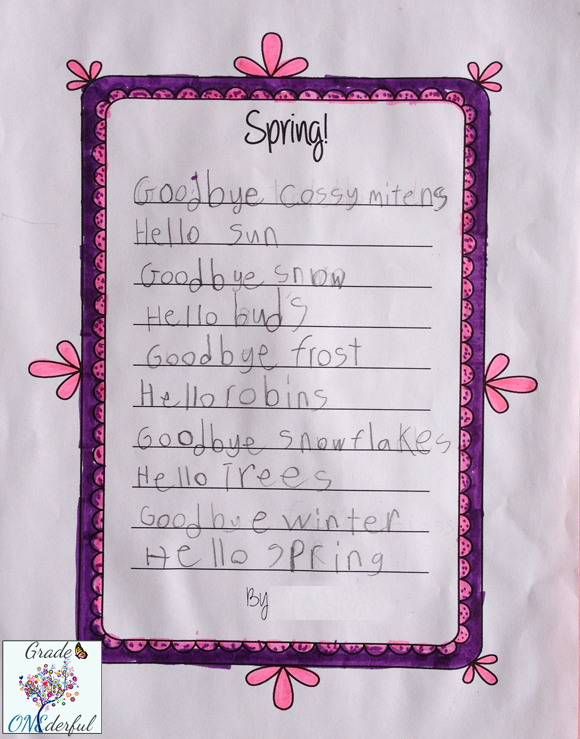 Spring Poetry: Earlier in the week we wrote Goodbye Winter, Hello Spring poems, the perfect accompaniment to Have You Seen Trees? and the art project above. If you like these little poems, you can read more about them HERE. 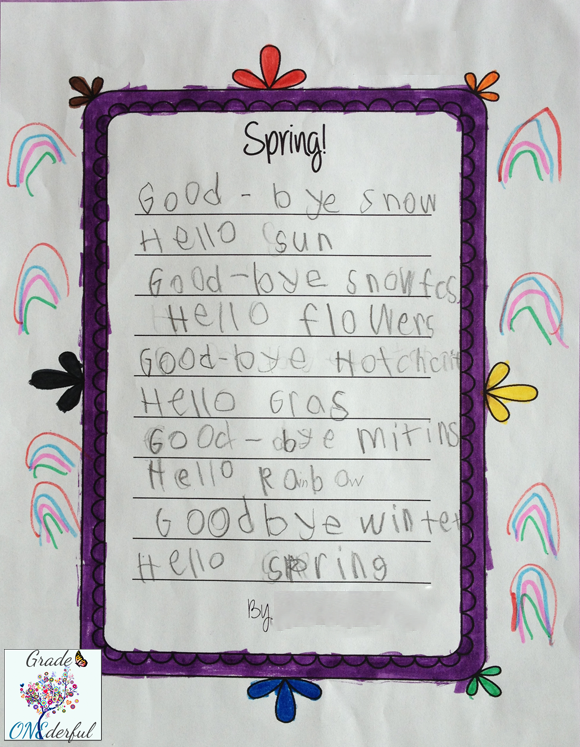 You can also grab some spring freebies, including this poetry template. 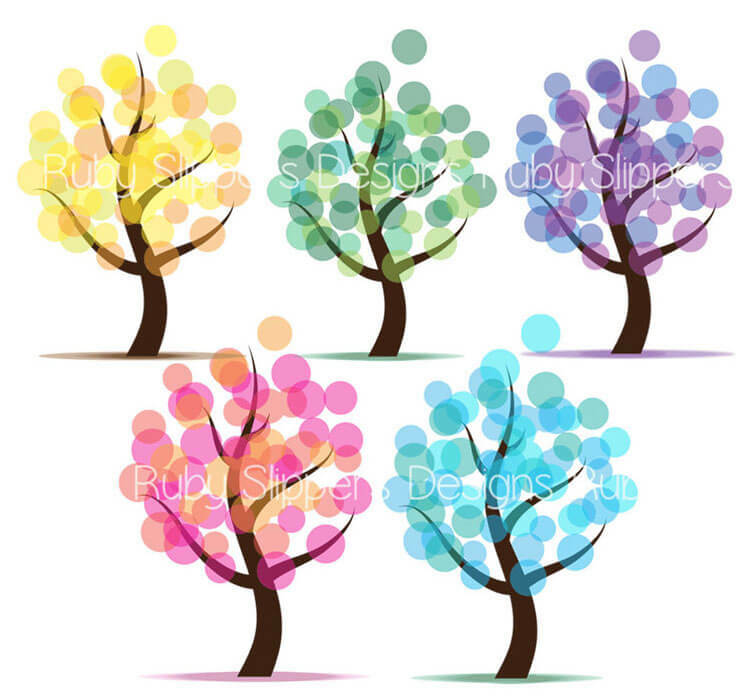 Seasonal Tree Clipart: I made these last week on spring break. These are my first attempt at trees and I think they're very pretty :) (not very modest, am I? haha). 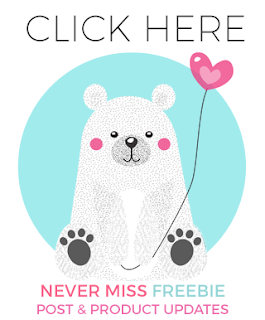 If you like them you can find them in my TpT store. Love this post. 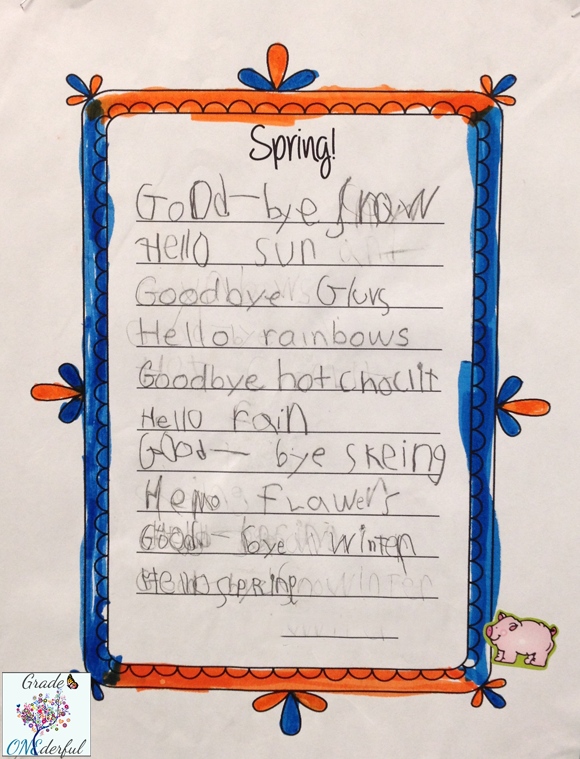 Your kiddos poems are great, and I love their cherry blossom art! I love your art too - those trees are gorgeous! Hey thanks, Traci. Don't you just love kid art? What a lovely book! This post put me in a spring mood. Now if only the sun would come out and the snow would melt! It's not that springy around here either. Although we don't have snow...just lots of rain:) Hopefully your snow is gone soon! What a great book. Heading over to order it. 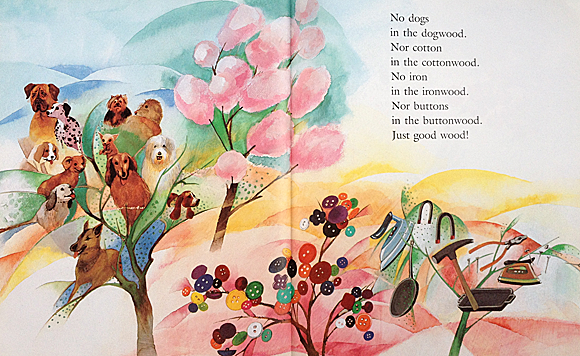 I love your kids poems and the tree art is wonderful. Thanks for sharing such great ideas!! You're welcome, Sheree! I hope you like the book as much as I do. This is the perfect ending to my poetry unit! Thank you so much. I can't wait to do the trees!